Brother Jesse: What fueled you to launch TheBlackManCan.org? What has been the aim? Brandon Frame: I was working at a charter school on the East Side of Atlanta, GA. The young men I was working with had a very low level of positive self-identity. I did many trips with my MENtees to Morehouse College and their level of positive self-identity begin to increase drastically because they were now interacting with young men who looked like them and were chasing the crown. I then begin to search the internet for a site where my MENtees could be inspired on a daily basis. I could not find a site and scholar M.K. Asante says, “once you make an observation, you have an obligation.” I made an observation that there was no place online where one could find positive images of Black Men. I then had the obligation to create it. The aim of the BlackManCan has been to actively promote positive images of black men and boys. We have a variety of sections on the site that tie directly to this mission and to provide the positive contradiction to the prevailing Black Male image of today. Brother Jesse: As an educator, mentor and motivational speaker, what is the main thing you strive to instill in the minds of young people? Brandon Frame: The main thing I try to instill in the minds of young people is to “Be Different, Be Great, Never Stop”, “Define Yourself, Redefine the World” and “Be so reminded of Martin and Malcolm, yet so inspired to sketch your own path.” These three quotes are what I share daily with my MENtees, students and when I have the opportunity to share a message that uplifts, empowers and inspires! 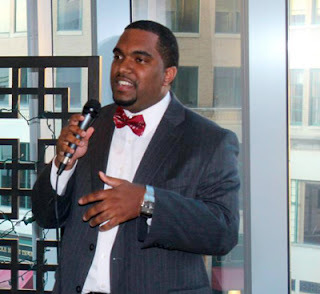 Brother Jesse: This year you partnered with BlackCelebrityGiving.com to host the Inaugural Black Man Can Awards. You all tweeted the winners on Father's Day. Why was this important to do? Did you achieve what you envisioned for it? Brandon Frame: I first have to Thank Jasmine Crowe and BlackCelebrityGiving for partnering with me on the “Black Man Can” Awards. She is a phenomenal woman to work with, her work ethic is impeccable. TheBlackManCan awards being announced on Father’s Day was important to me because it’s the day of the year where we celebrate men and them being role models to their children and loving husbands to their wives. Jasmine and I thought it would be the perfect date to celebrate Black Men who are making remarkable contributions to society. The “Black Man Can” Awards had over 30,000 votes from over 5,000 different people. I knew people would support but it reached a level that I couldn’t believe!! It surpassed my expectations and now the goal is to take it to an even bigger level next year!! 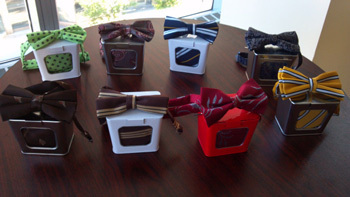 Brother Jesse: In June you successfully hosted a launching party for Final Frame, LLC, neckties and bowties collection. Why did you choose this venture? What can customers expect? Brandon Frame: I chose this venture, Final Frame because of the many young men I have worked with in my lifetime as well as my own experience with ties. I have taught many young men to tie a tie and I also recall my first experience of learning how to tie a tie. Learning to tie a tie is one step in the direction of manhood. I thought how cool would it be to be able to teach young men how to tie a tie and then give them one of my own ties. Brother Jesse: What else do you have forthcoming the second half of 2012? 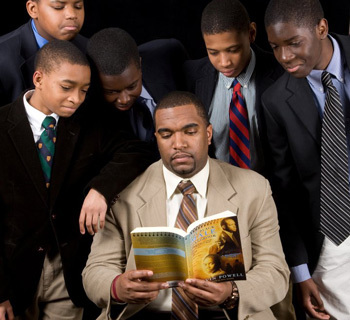 Brandon Frame: The major goal I have for the second half of 2012 is a book I’m working on for young men of color. Literacy Lives is the company I’m working with to make the book a reality!! It will either release in the fall of 2012 or early 2013. Brother Jesse: What is one quote that sums up how you spend your 86,400 seconds every day? Brother Jesse: Thank you Brandon! Continued success to you.